the look on his face when I said I was going to seal it you would have thought I slapped him in the face with my wiener. Purplemyth- you bring up a good point about the window between sealer and base and each manufacture has a spec sheet identifying each window. My window of "thinking" is much longer than any recommended window for sure. Like WEEKS before color. My "car fund" has expired therefore postponing my paint purchase and shooting. 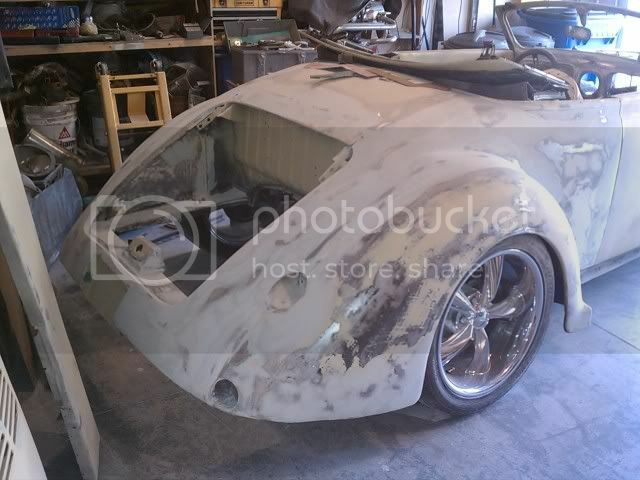 My painter (who shot my bugtruck) in part of his final prep, shot sealer before color...unexpected but nice because he swears by sealer...to your bosses point Ace. He will certainly be painting the Volkster. The unexpected results of the truck has me thinking Sealer is the way to go because it was soooo nice. The best brand of paint? ?..well that has always been a touchy subject and each painter, shop, even supplier will get on their soapbox about what is better, best, crap, etc. Honestly, I have shot (had shot) Omni, Dupont and Nason and all have turned out excellent. The Volkster is not intended to be a daily driver and will live in a garage when not enjoyed. Will it be subject to harsh weather conditions and sun???? Not much comparitve to a daily. Walked in to a local supplier last week to price out product and they said go PPG. But they sell Omni and Nason by the tanker truck. Walked in to another local supplier, they push Omni and recommend a higher quality clear to give better protection. My painter prefers PPG but shoots it all and is indifferent to what I choose. The debate will certainly never end. I understand the importance of a good product and appreciate the end results and protection of a good quality clear. I get it. But do I really need to sell a kidney to buy ""the best" given the fact it's a weekend cruiser, car show type of car that will be out of the elements most of it's days? I don't know? Spencer, what I hear is that because I have a couple little breakthrough spots, I should use a sealer. The sealer will take care of the spots and allow the color a uniform base? I'll shoot you a PM to discuss paint brands, appreciate the opportunity. Like anyone, I want a good product providing the proper amount of protection, but still be able to feed the kids and keep my organs afterwards. Before you do anything us mall ninja painters say, the man with the paint gun in his hand has the final say. If it were my car/job and the time line I understand I would call up my paint supplier (Down here its Industrial Finishes google told me there's one up there too) and ask the paint rep about what sealer to use. I would explain to them about how it would be sealed part by part and sit for a while so you need a sandable sealer. As for the type of paint it's all on the painter. I like diamont and nason. Nason is thinner so instead of using 3 coats you want to put 4 down. I talked to my paint rep about nason verses diamont and he said he would us nason if he was doing a complete paint job and diamont if he was blending or matching. Nason costs about HALF of what diamont does. The red I bought for my truck *dodge inferno red* in nason was $180 a gal compared to the $400 for diamont. with that being said Nason base coat can NOT be sanded. (if there is dirt or a hair in the base coat) There is a wax in the paint that once you sand it it will cause the next coat of paint or clear to just peal off. The thing you want to spend the money on and go high quality is the clear. It is the biggest line of defense from the elements. The shop, and myself personally, use "IFC14", It is Industrial finishes brand of clear. Down here it's about $180 a gallon sprayable and its just relabeled Diamont clear. The thing about paint is its like talking trucks some like Ford others like Chevy and some even like Dodge. Your statement about the clear is true it is the last line of defence and with that said the lower the price the cheaper the UV screener used to in the clear. Mark, it's true the paint brand or type matters not, it's all on the painter. I've seen Imron jobs that look like glass and look like non skid tape. Ick. Was raised with good ole acrylic enamel martin senour. But I have no problems with other brands, cheap or expensive. Urethane in almost any brand is very tough. What we use here has a window of 12hrs best but 24hrs tops. The epoxy sealers will 'seal' up your work. They have to if they say 'can be wet sanded after 24hrs'. Some sealers are still porous though and any moisture will get in and ruin what you've already done. In the end, your work from bottom to top and all the prep work will be the main factor in a nice finish. As for clears, hubby used a med grade on dragon, the company pulled that line shortly after, 6 yrs later, we know why, dragon looks a car from the mid 80's with water based factory clear, sad. We will go back to the lower grade, it's simple, inexpensive and pretty much idiot proof. Only cuz I don't feel dragon is worth the $200 a qt and needs a highly controlled environment to be used. I don't mind wet sanding, adding another layer a month later, wet sanding again and buffing another month later if I know I'm going to have a good strong durable coating. I don't have to do a dbl coat, it's my choice, sun eats purple like red. But it's ultimately up to the skills and patience of the painter. Just make sure you prep as much as possible and tack rag everything twice! Wow Myth, a reply at 2:39AM? I barely know my name at that time in the morning! All great points, thank you. Aces - yes there are a couple Industrial Finishes here in Portland. The one nearest my office was the supplier pushing PPG... plus they treated me like a complete moron when I started asking question....Their customer service, not good at all. Although my painter will buy the materials through Industrial (under their commercial account) saving me on that side. I just need to give him a list of products. Blocked out more of the panels last night...looks like I'll be shooting and blocking another coat of Mahr Hyde Ultimate 2K high build before sealing anything. The '37 hood has been exhausting!!! I have worked it, re-worked it, guide coated and worked it again and STILL have spots to correct. Little annoying spots that will go away, but still COME ON! Enough already! When I want "quality" I go for PPG at my local store, in large part because their regional gurus are very helpful and just down the street. 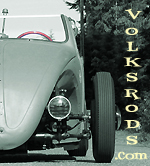 For volksrods, though, I go cheap and online. Two examples: Kirker flat black synthetic enamel ($26.50/gal at pivco.net), and Restoration Shop AU wimbledon white ($89.95/gal with 1qt hardener at tcpglobal.com). Neither needs a clearcoat, so they look like factory finishes from the '30s-'50s. Last edited by carcentric; September 8th, 2011 at 02:21 PM. the advantage of Sealer is that it doesn't. Whats going on we haven't seen any updates for a while? She ready yet? Thanks for checking in Spencer. I wish she was ready. Still clipping away on bodywork. On my build thread, I posted a really lame update on the gas tank filler neck support I made and a little rust repair. In a holding pattern on paint materials until some extra funds come available. Might be as late as Dec before that happens? 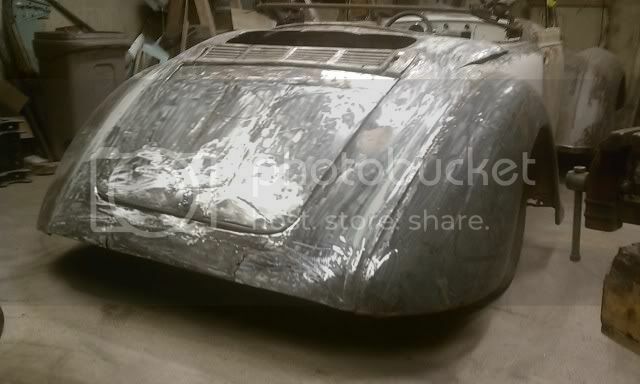 Meanwhile, been continuing with little bodywork details like- the lower rolled edges of the fenders, inner fenderwells, underside of the decklid, inside lower corners of the B-pillars, underside of the dash....crap like that. Not real exciting stuff. Hey,Great looking build, I have been following it from time to time, I thought I was doing alot og cutting and welding on my car but WOW it's going to be KOOL. If you don't like the paint shop because they talk to you like you were a moron, drive up to Longview 30 miles away and visit Evergreen pain on Vandercook, I just did a cost estimate on my paint that I'll be buying and all together it was $322.00 for base coat 1 gal. thinner, clear coat 1 gal. and hardner in PPG and they are very helpfull. I have bought paint there for a long time for several of cars I'v painted, I'm not a pro and I don't even know what the hell I'm doing but if I can fumble my way through and do it meself I feel richer for it. I am just starting to get back to my Bugster and have it ready for the summer after around five years of not doing much to it because of bad heart and several other ailments, but Hell I'm retired now and all I have is time on my hands. I have to get som picks on the site of my car, I have all the bright pretty stuff now just have to fill some welds and get the thing painted. Thanks for the info Ace, I think OB's Custom (Spencer) has talked me in to the Sikkens line. It sounds good and falls within my "budget." HAHAHA! ...budget..that's funny!Blew that MONTHS ago!! Thanks Skibo. I bought the '37 grill from a guy in Kelso and I know Longview pretty well. Thanks for watching my build. Just making this sh$t up as I go. So you priced out $322 for an entire BC/CC system in PPG? PPG or their shopline? From what I've found in PPG...THAT is a smokin' deal! Break out the camera, let's see that Bugster! Still looking good the man. OK for Fun....a little series of photos from start to present status. ...If it were only that easy. Oh, heck, that looks easy when ya do it like that. I need to go find some Ford fenders and running boards now for this weekend. Location: Out in the Wheat, Garfield, WA. holy crap that looks awesome man! You guys are all just aMAZing! It looks super easy. Just 5 maybe 6 steps? I have what... maybe two more, paint and final assembly before it's ready to drive? I think that's what the instructions said when I took it out of the box? Anyone want to finish the bodywork for me? I'd be willing to trade a chop, or any fab work....anything but finish bodywork!! And to think...several months ago I was anxiously awaiting this phase of the process...hmm. Anyway, thanks for humoring me. And to think...several months ago I was anxiously awaiting this phase of the process...hmm. Anyway, thanks for humoring me. I remember having the conversation.....LOL. I think for Mark getting the metal to hang on the car is the easy part. Its the cleaning off all the little metal snags from chopping it up that is the time consuming part. Those things hurt!